Check out these first look pics of Sienna Miller as Tippi Hedren in the upcoming HBO film The Girl! The 30-year-old actress plays the legendary film star in the film about director Alfred Hitchcock‘s obsessive relationship with the actress, who starred in his films The Birds and Marnie. Tippi is even lending her support to the film to vouch for its authenticity. Toby Jones takes on the role of Hitchcock in the film. Make sure to watch the premiere of the film on October 20 on HBO! She looks as much like Tippi as Hillary Clinton. I think Sienna is prettier (in a different way) than Tippi was. That said, she looks weird in the above pics. I like Sienna, but I'm not feeling this. I think she's prettier than Tippi too, Sylkyn. There's no hiding that harsh ugly mouth, even in character. I can't wait to watch this. She looks more like Tippi than he looks like Hitch. 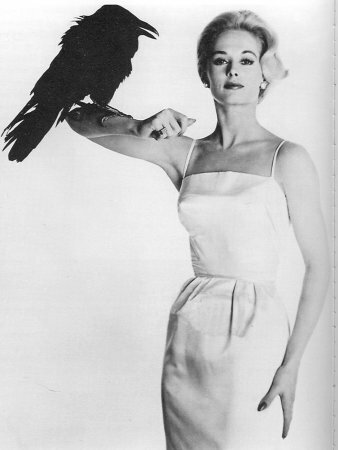 i think she's way prettier than tippi hedren ever was. Sienna as Tippi works for me. Neither of them have a particularly memorable face. Another "exact look-a-like" according to the Daily Mail. it's a closer match than naomi & diana. Bluebonnet and rollo like this.